Wi-Fi range extenders catch the wireless signal from your router then rebroadcast it, helping to strengthen the signal in another area of the house. Ideally you want to place your WiFi extender halfway between your main router and your intended wireless devices, so it can catch a strong signal and extend its range. Most are wall plug range extenders that work instantly as soon as you plug them into a wall socket. Netgear wifi range extenders include Ethernet ports so you can plug devices like Blu Ray players and Smart TVs in directly, for a stronger connection. 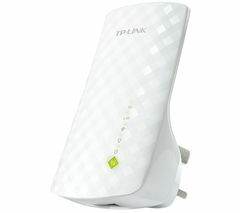 WPA and WPA2 security, in addition to 64/128/152-bit WEP encryption, ensures that your wireless network remains secure. 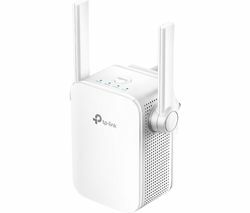 Dual band-compatible models still allow you to access both 2.4 GHz and 5 GHz frequencies as they extend the range of both separately. For enhanced WiFi around the home, whether it’s for smartphones and tablets, Smart TVs or laptops, WiFi range extenders are a simple solution.